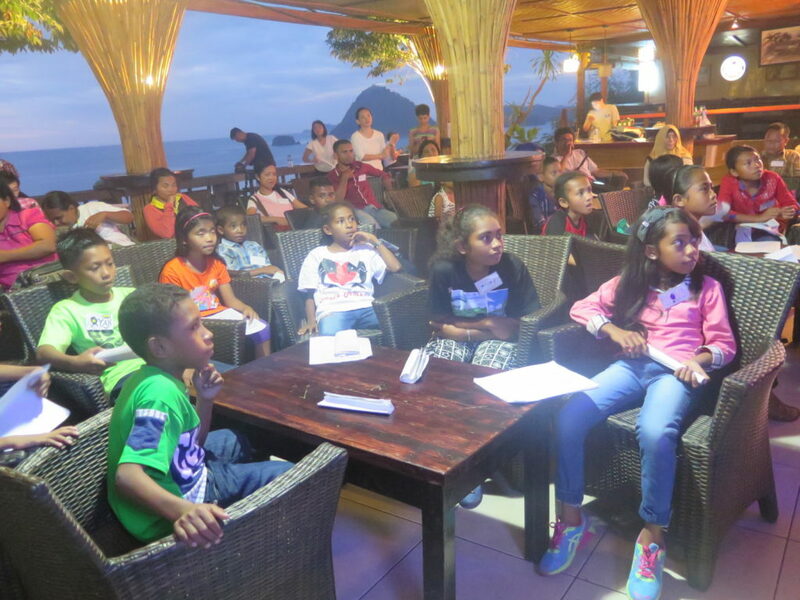 When I heard Ambassadors of Rainbow Reading Gardens (#DutaBacaTBPelangi), I was excited to see kids from Rainbow Reading Gardens libraries across a number of islands in Indonesia come to and gather at Labuan Bajo, Flores, NTT. 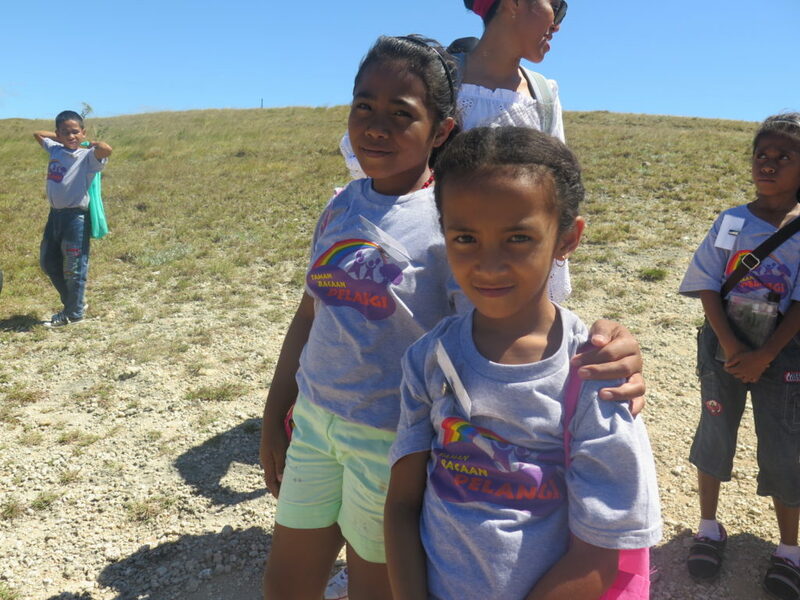 This event will be Rainbow Reading Gardens’ first to make the kids from many areas to share how much they love books and to meet in person with their fellow friends coming from other cultural background. 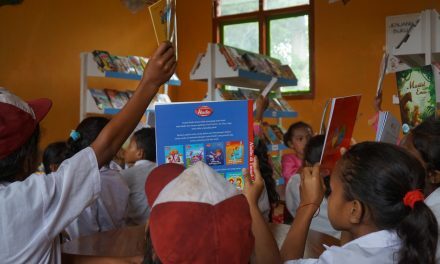 After a quite long selection process, finally 18 students from 9 Rainbow Reading Gardens libraries at Raja Ampat (SDN 2 Waisai & SDN 25 Moko), Alor (SD GMIT Pitungbang), Flores (SDI Kaca, SDK Pongkor, SDK Melo, SDN Labuan Bajo 2), and Sumbawa (SDN Nijang & SDN 4 Alas) were selected. Two students from each school were selected based on their writing. Pic 1: Participants from Sumbawa, NTB. One group by one group of participants were coming. I greeted with with my brightest smile and warmest hug. I could not forget the moment we met at the airport. We have missed each other, as I haven’t met them quite awhile. Pic 2: Participants from SD GMIT Pitungbang, Alor, NTT. 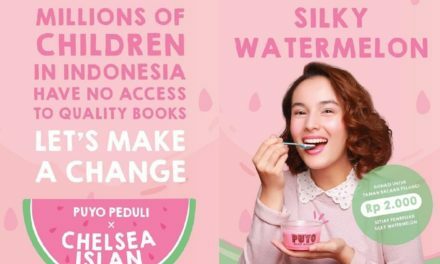 For three days (18 – 20 May) #DutaBacaTBPelangi (Ambassadors of Rainbow Reading Gardens) will take part in the activities that have been arranged for them. The first day is to get to know each other. 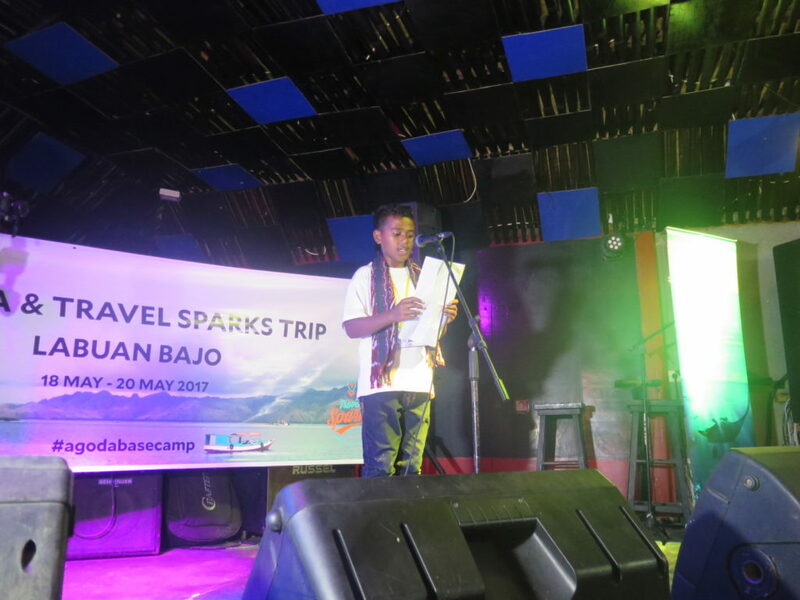 While having dinner at Paradise Bar, they have the opportunity to read their stories and show their talents. 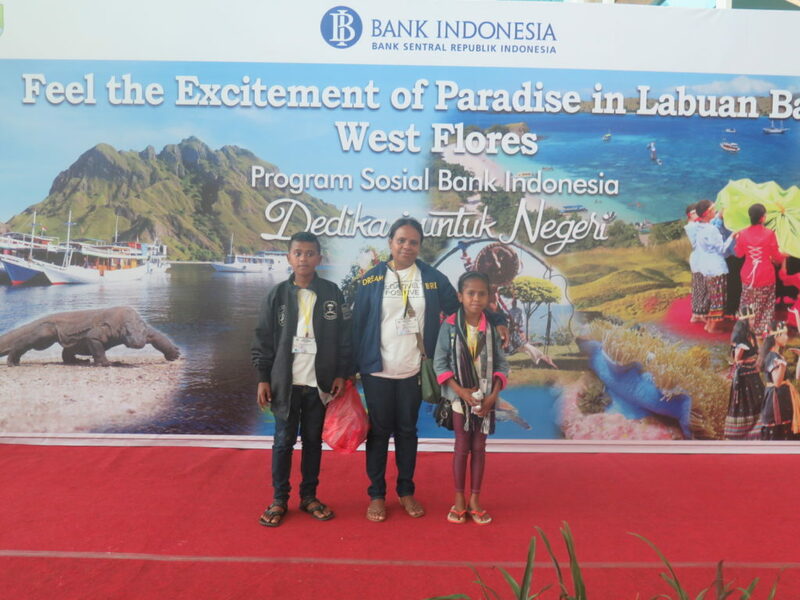 Sasa and Meli from SDN 25 Moko, Waisai, Raja Ampat made everyone laugh as they told MOP from Papua. 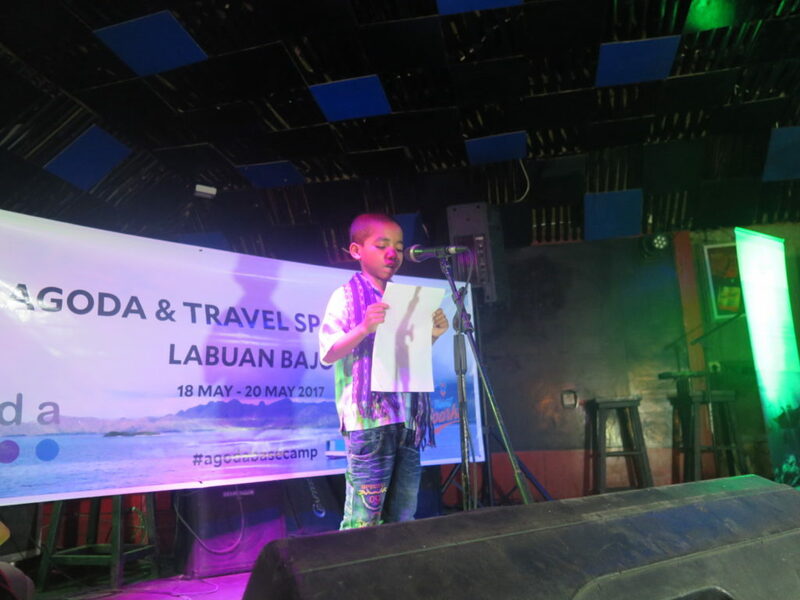 Passya from Sumbawa told a story in English. 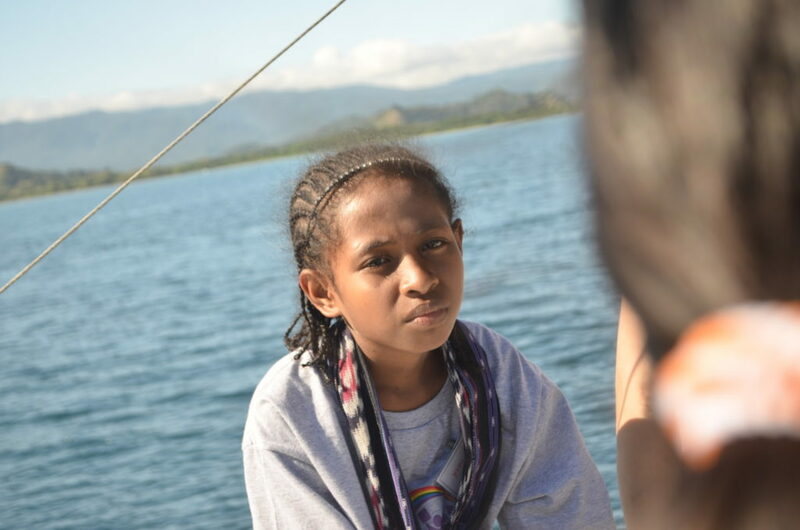 Pic 4: Junus, from Alor. Asni and Bunga from SDK Pongkor performed a song in Manggarai language. I was touched seeing those who live in rural areas have such a confidence and courage to perform in public. 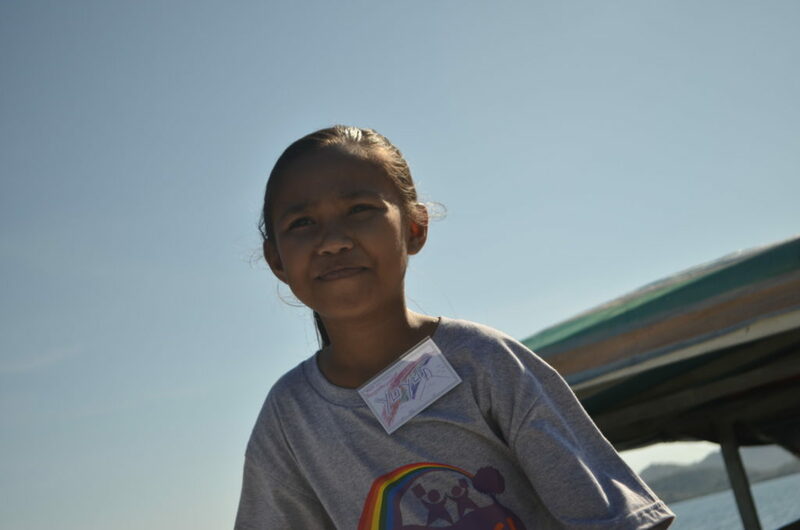 Pic 5: Asni, participant from SDK Pongkor, Flores, NTT. Pic 6: Erik, participant from SDI Kaca, NTT. 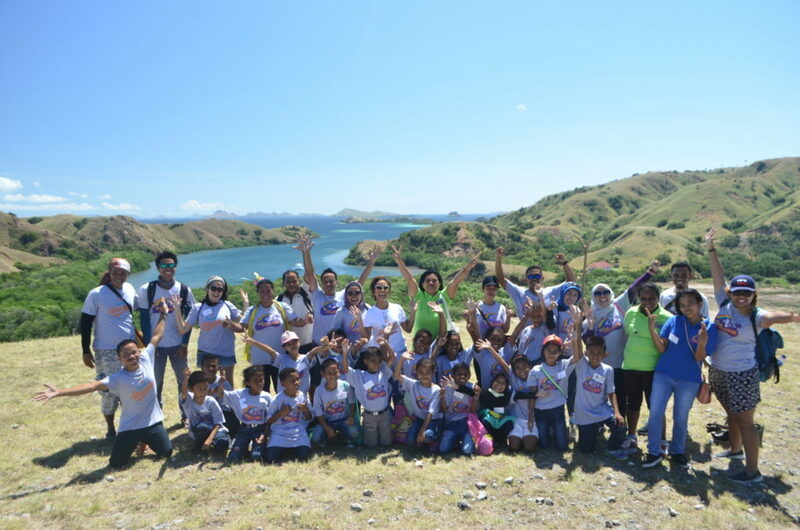 On the next day, all Ambassadors, together with their teachers, visited Komodo National Park at Rinca Island. It took about one hour and a half by boat from Labuan Bajo. 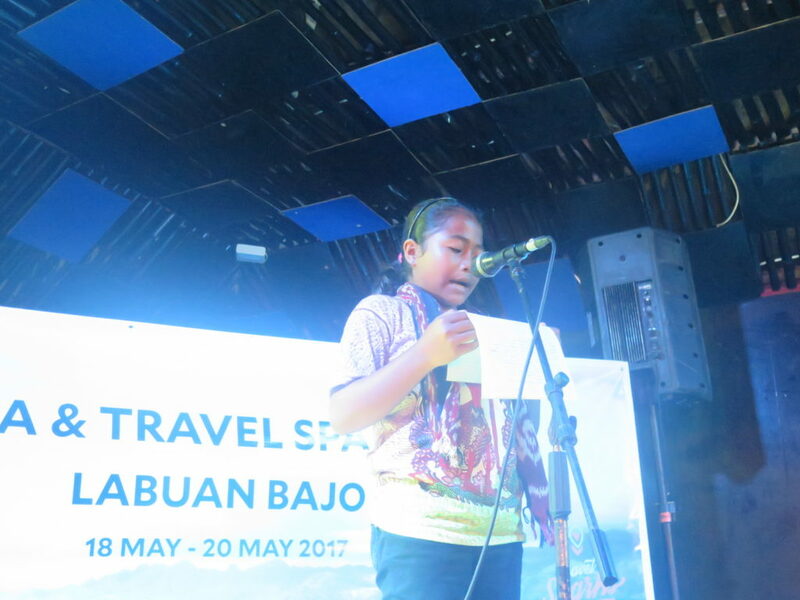 We spent time sharing stories, singing, dancing, and telling jokes on the way there. .
Foto 9: Yuyun, participant from SDK Melo, Flores, NTT. 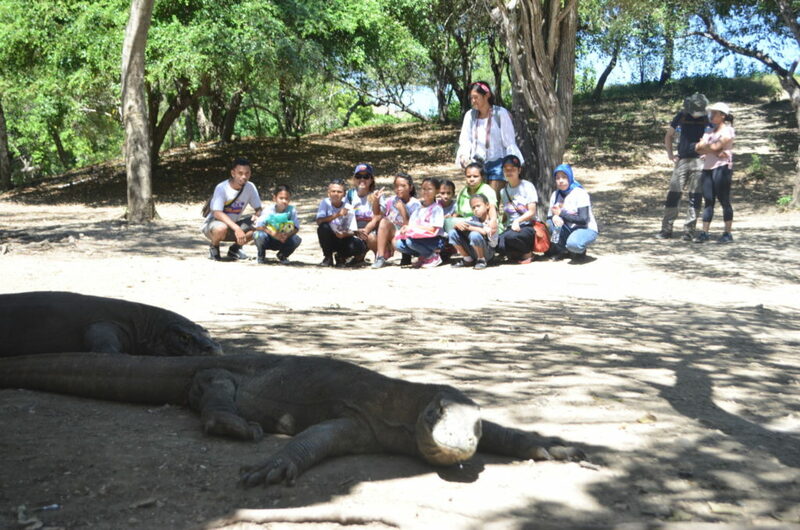 Once we arrived at Rinca Island, kids were very excited to see komodo dragons. They were about to see this ancient animal, which they usually see on TV or books only. After a brief trekking together, we headed back to the boat to leave for Kanawa Island. Pic 13: Taking a group photo at Rinca Island, Flores, NTT. 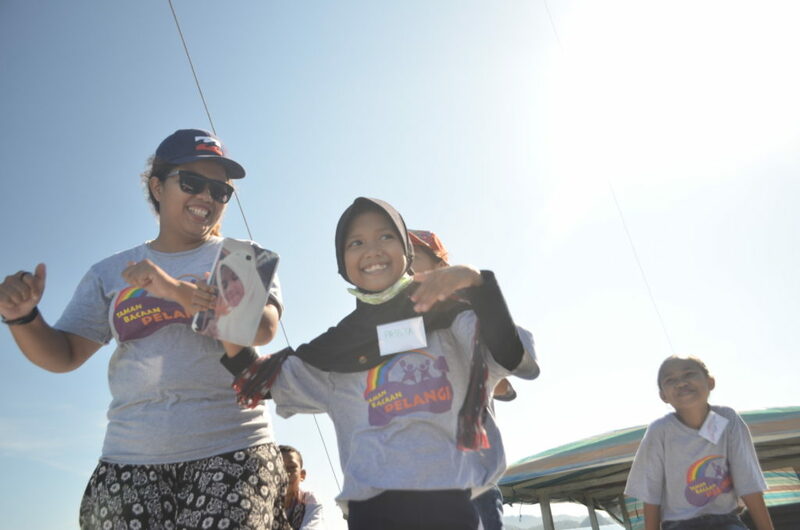 At Kanawa Island, participants played games as prepared by the Rainbow Reading Gardens team. Ahhh… they were having fun and far from exhausted. Hahah… of course. They have unlimited supply of energy and power. Pic 14: Having fun at Kanawa beach! Everyone was having fun at the beach. For those who come from areas far from the beach, this is their moment to enjoy the sea. They were so happy!!! 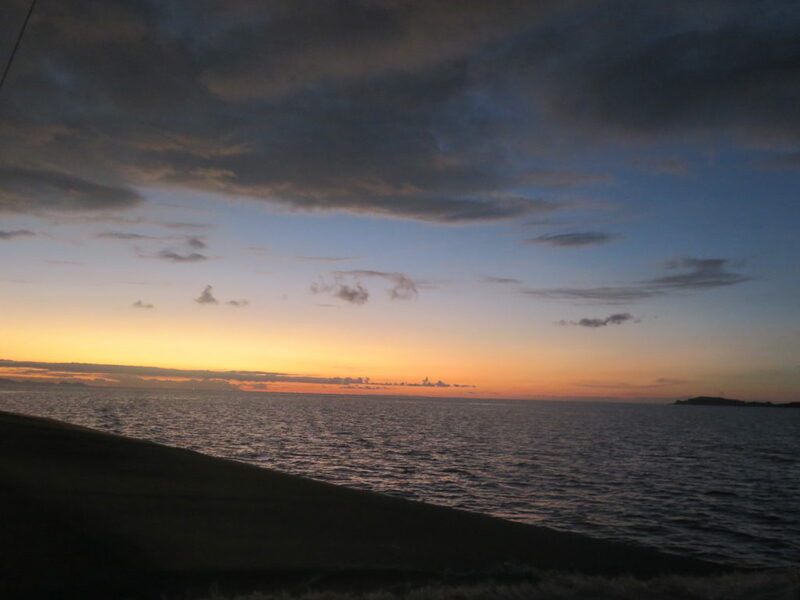 We left Kanawa Island to Labuan Bajo at around five in the afternoon. In the evening, participants were had a gift exchange. This exchange was so fun. Erik, for instance, got a souvenir from Raja Ampat, a hat in an unusual form, Manta Ray. Erik was so content to receive the gift and he promised to put on the hat wherever he goes. Oh, dear Erik, you’re so cute! Other kids were also happy about the gifts they received. Foto 16: Sasa, participant SDN 25 Moko, Raja Ampat. What makes that moment saddening is because that night is the last night they are together. They will leave for their homes the next day. Sad.….! Saturday, May 20 is the last day of the #DutaBacaTBPelangi 2017 event. 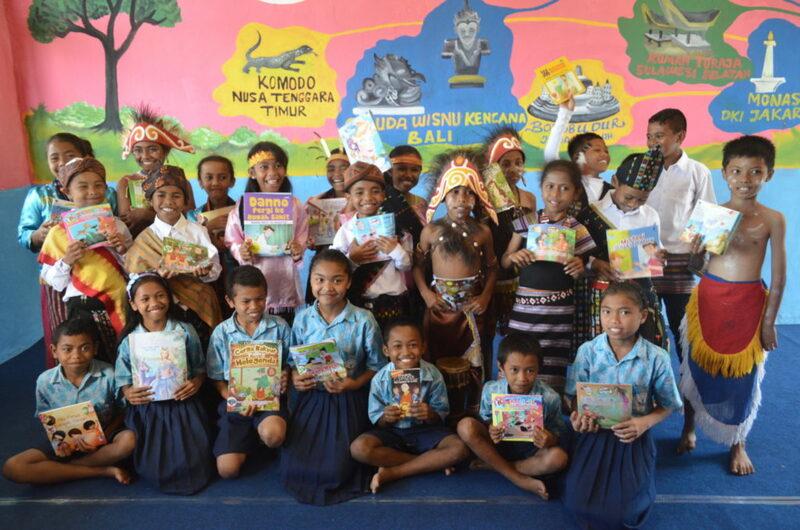 All participants gathered at SDN Rangga Watu, West Manggarai, NTT to inaugurate Rainbow Reading Gardens library. 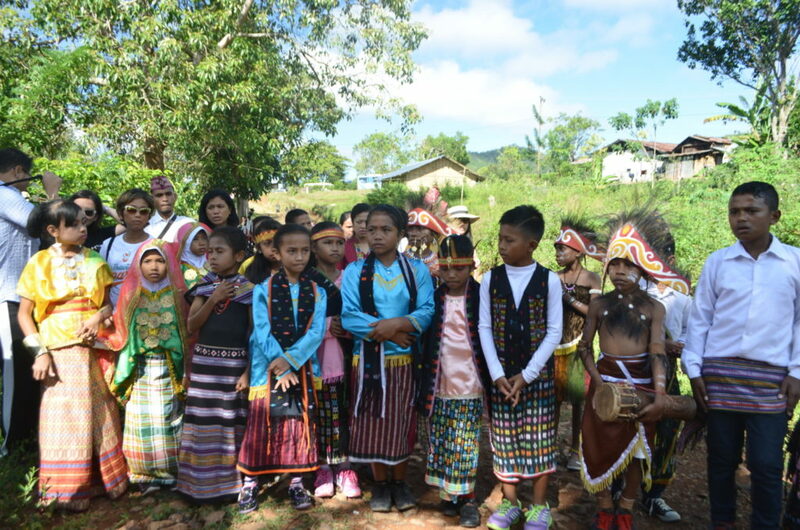 The #DutaBacaTBPelangi (Ambassadors of Rainbow Reading Gardens) put on their traditional costumes. The diversity of Indonesia was real at that time. After the inauguration ceremony, they should go back home. Tears rolled down their faces as they have to say goodbye to their best friends. 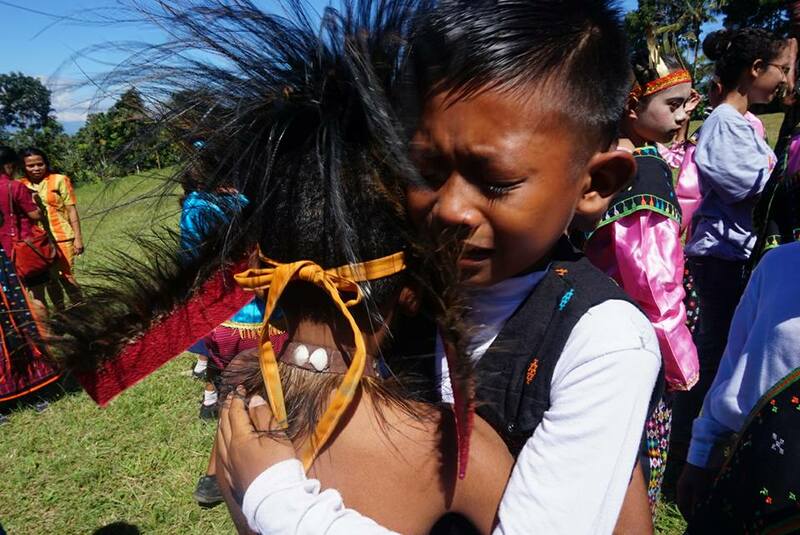 They hugged others and promised that they will meet again someday. Since the first time they met, they have become best friends. The joyful experiences in those three days are memorable for them. They will be best friends forever. 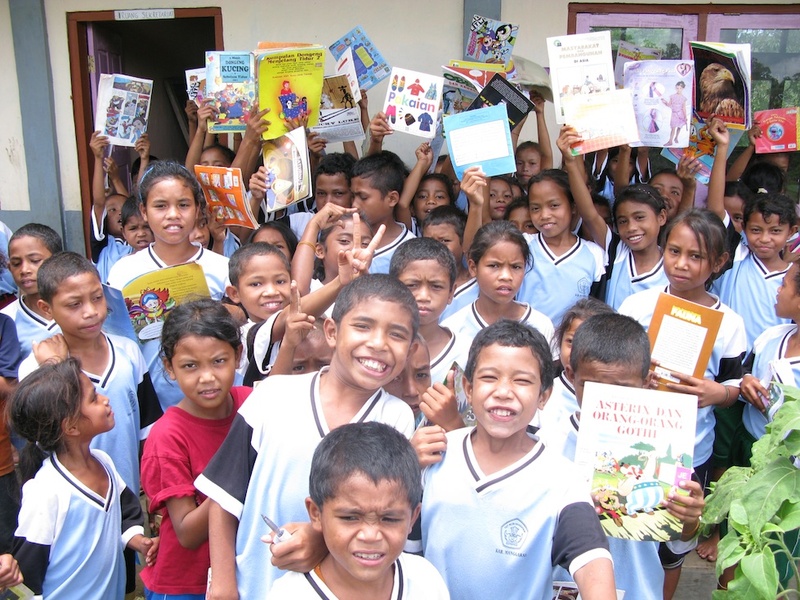 Best friends united by the love to books and library. 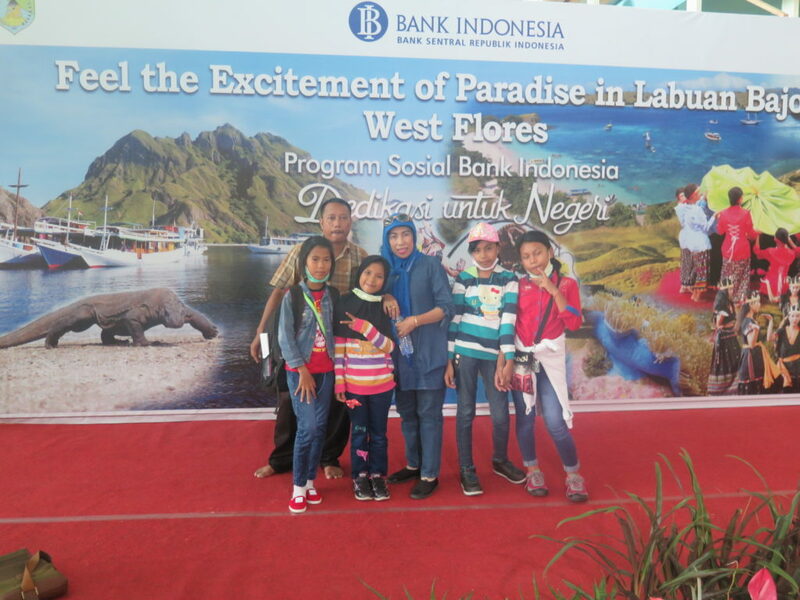 Pic 19: Taking photo with friends from SDN Rangga Watu, Flores, NTT. 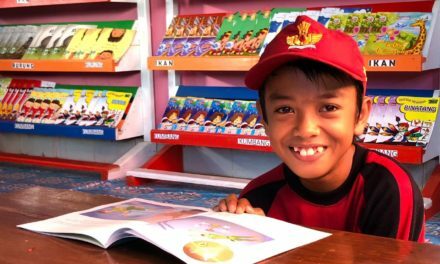 Hence, the togetherness shown by the Ambassadors of Rainbow Reading Gardens (#DutaBacaTBPelangi) reminds me that they are kids with unlimited potentials. They have their own uniqueness when they congregate and when given opportunities, they will shine brightly. I can feel that they have their own glow inside. They wait for us, the adults around them, to give them opportunities that let them shine. Ahh… these 18 kids are indeed treasures. See you soon! I am wishing you to keep shining with your talents and courage at school, at home, wherever you are.